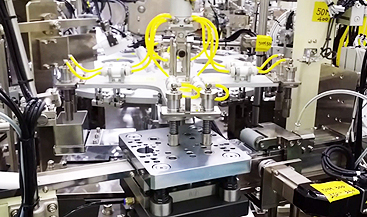 High speed automatic production line of 18650 lithium ion battery. ALISON ASIA PACIFIC Ltd. has been watching the environment and energy matters, a few years ago has been involved in the battery separator promote research and development products and raw materials, along with the electric car market booming, ALISON ASIA PACIFIC Ltd. also looking to supply lithium-ion batteries on the market insufficient, then from raw materials further, with Japan and South Korea partnership, promotion of highly automated battery production line speed. 18650 production equipment we offer, from the electrode material handling processes mixer start, covering the electrode coating equipment, battery assembly equipment likewise starting from the beginning of the winding machine, swept into the shell assembly, rolling groove welding, priming package, and the late activation treatment equipment readily available. May be in response to customer needs, we propose a number of different solutions to meet the real needs of customers. 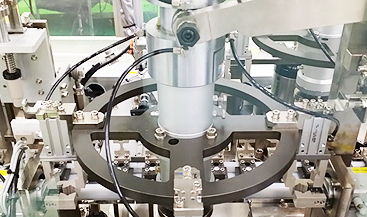 We offer 18650 production equipment, with up to 200 PPM (pcs / h) production speed, highly automated process, in order to achieve a stable and high-speed production targets. The same type of equipment has been a number of occasions to large battery manufacturer, we have a wealth of practical results. 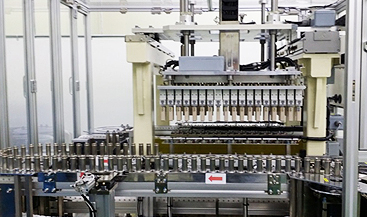 Now corrected to take forward the next step, a new R & D 300PPM speed production lines, to meet the challenges of the rapid expansion of demand for battery market!